Christopher E. Smith is Professor of Criminal Justice at Michigan State University. Trained as a lawyer and social scientist, he is the author of twenty books and more than ninety scholarly articles on law, courts, and criminal justice policy. His most recent books with Wadsworth include two first editions: CONSTITUTIONAL RIGHTS: MYTHS AND REALITIES, and CRIMINAL PROCEDURE. 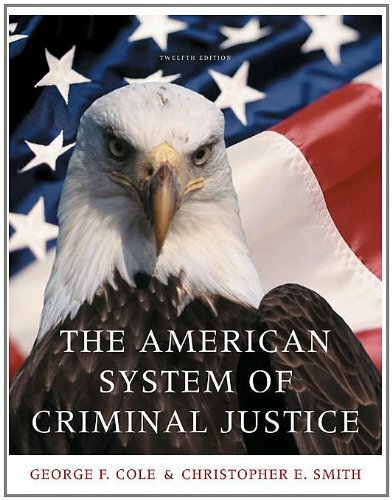 He is also the co-author, with George Cole, of THE AMERICAN SYSTEM OF CRIMINAL JUSTICE, Eleventh Edition.